IIT-Delhi (IIT-D) has set up a radio lab with an array of antennas for “standardisation, research and manufacturing” of 5Gequipment, the institute said. 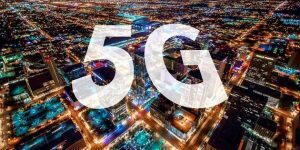 “In an effort to establish India as a key global player in the standardisation, research and development and manufacturing of 5G equipment, a Massive MIMOradio laboratory has been setup at IIT Delhi and will be inaugurated on April 13. This will be the first such lab in India,” an IIT-Delhi statement said. Saif Khan Mohammed, an IIT-D professor working on the Massive Multiple-Input Multiple-Output (MIMO) technology, said it will help curb the emittance of radiation harmful to our health and also will allow less radio interference for better communication. “In Massive MIMO, several antennas are deployed at the base station as compared to only a few antennas in 3G/4G. This large antenna array at the base station allows the network to communicate reliably with a very large number of mobile terminals simultaneously at the same time and on the same frequency channel. “The large antenna array also improves system power efficiency, as the mobile terminals will now be required to radiate ten times lesser power than in 3G/4G systems. This, in turn, reduces interference to other radio systems and also reduces possible effects of exposure to radiation on our health,” Mohammed, a researcher at the Bharti School of Telecommunication Technology and Management at IIT Delhi, where the lab has been set up, said. “If cellular telecommunication equipment is manufactured in India, then it will also be financially viable for the operators to provide broadband access in rural areas, which has been an important agenda of the Digital India programme,” he said.